American Book Award WinnerWinner of Books for a Better Life Award (First Book)James Beard Foundation Award NomineeBNN Discover Awards, second place nonfiction IN THE FALL OF 2003, AS IRAQ DESCENDED INTO CIVIL WAR, Annia Ciezadlo spent her honeymoon in Baghdad. For the next six years, she lived in Baghdad and Beirut, where she dodged bullets during sectarian street battles, chronicled the Arab world’s first peaceful revolution, and watched Hezbollah commandos invade her Beirut neighborhood. Throughout all of it, she broke bread with Sunnis and Shiites, warlords and refugees, matriarchs and mullahs. Day of Honey is her story of the hunger for food and friendship during wartime—a communion that feeds the soul as much as the body. Annia Ciezadlo was a special correspondent for The Christian Science Monitor in Baghdad and The New Republic in Beirut. She has written about culture, politics, and the Middle East for The Nation, Saveur, The Washington Post, The New York Times, The New York Observer, and Lebanon's Daily Star. 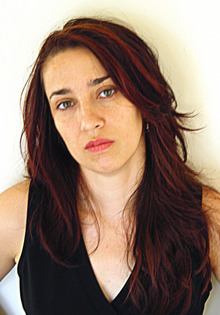 Her article about cooking with Iraqi refugees in Beirut was included in Best Food Writing 2009. She lives with her husband in New York.